1: Start SlideDog and enable remoting by clicking the Web Remote toolbar and turn the switch to “ON”. 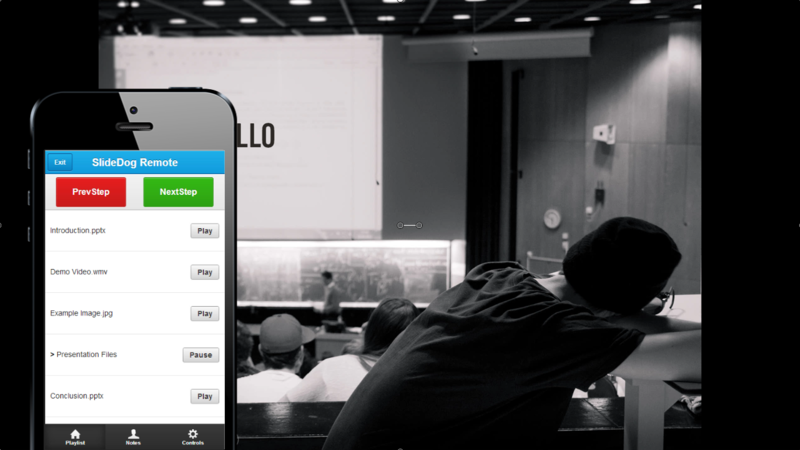 2: Grab your smart phone (or other device) and open the web link https://slidedog.com/remote. 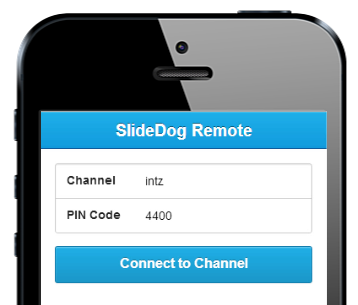 Then input the channel name and PIN code provided in the SlideDog Web Remote menu (above) and press Connect. 3: Add your presentation files to SlideDog and click START SHOW. You should now see the SlideDog playlist presented your smart phone. Use the top buttons to switch to the next or previous slide, or use the playlist to jump directly to other files. If your PowerPoint files contain notes, you can read them on the notes tab.